A new intake of early careers professionals put the foundations in place for their future careers with a teambuilding day at cutting-edge Dorset firm ATLAS ELEKTRONIK UK (AEUK). The 17-strong group tackled a series of challenges as part of their induction with the world-leading defence business on the Dorset Innovation Park at Winfrith, near Dorchester. AEUK welcomed the new employees – including many from the south and west Dorset – as part of its latest intake of early careers professionals for 2018. With a 400-strong workforce at Winfrith, AEUK specialises in innovative maritime technology and systems, including sonars, mine countermeasures, combat systems, underwater communications, hydro acoustics and maritime security. The group was split into teams to tackle the ‘AEUK Maritime Mission’, which included designing their own brand and team name as well as creating a structurally sound bridge out of spaghetti, marshmallows and sweets. Teams also built model boats out of Plasticine; raised an alarm and fixed the electricity on a circuit board, before a final race to the finish line with question time. “It was a very enjoyable and constructive day. It’s great that we have a company such as AEUK on our doorstep and I’m looking forward to learning new skills and progressing my career,” said Jamie, a local apprentice. Apprenticeships are offered across the company, including in engineering, accountancy, mechatronics, IT, and business administration. The scheme has been running since 2015. 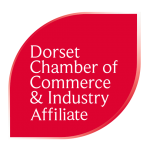 AEUK believes in nurturing young talent and sponsors three local schools for their Dorset Young Chamber membership. AEUK won the Outstanding Contribution to Apprenticeships Award and the Young Chamber Award at the 2017 Dorset Business Awards. They also have an IMECHE accredited graduate scheme to help engineering graduates achieve professional recognition.